I made a promise eleven years ago today as I sat in a team room less than a mile from O' Hare airport with my colleagues from New York. A promise to keep alive the memory of a neighbor who had young children, three friends in their 30's who were just starting careers and families, one colleague who was working in a computer center in the north tower, hundreds of customers, first responders, and those who loved them. 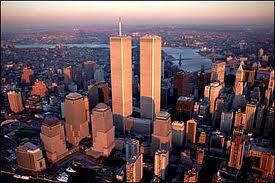 People who lost their lives or who had their lives changed forever by the actions of that day. Today, I keep that promise.